Who doesn’t love the serene sound of bubbling water? Cardinal is known for its design and installation of garden pools and waterfalls, including outstanding natural stone work. 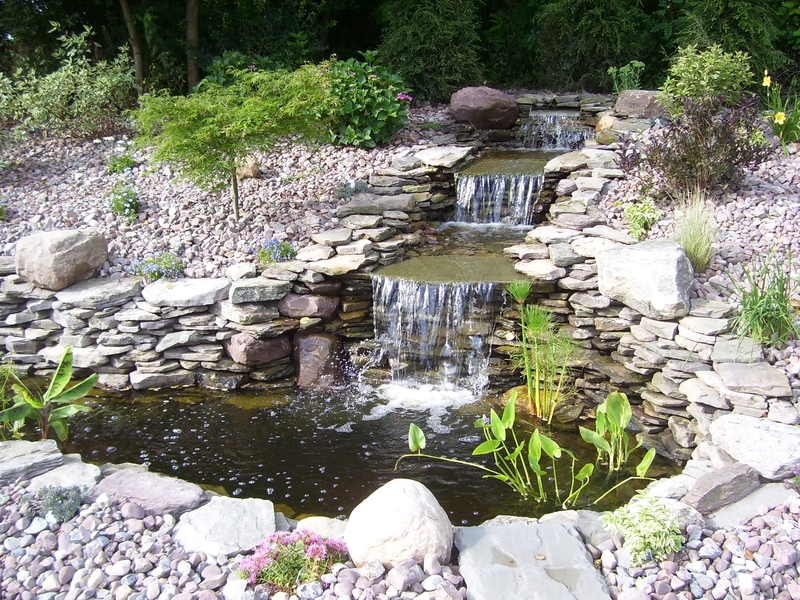 A water garden is a wonderful and valuable addition to any landscape project that will provide a relaxing setting to come home and unwind to. Imagine trailing down broad stone steps with a liquid cascade tumbling beside you pooling into a garden of floating lilies at the base, or resting on your own cozy bench to the view of falling water, the rushing sound washing away the traffic and phones that haunt your working hours. The staff at Cardinal has all the technical know-how needed in regards to pond liners, pumps, filters, and related equipment to let you relax and enjoy the final picture. Take a stroll through our gallery for some other inviting pictures. You gave us all the information we needed to make the decision that was right for us, and we never felt pressured by you. Your price was very competitive and we felt very comfortable with you.